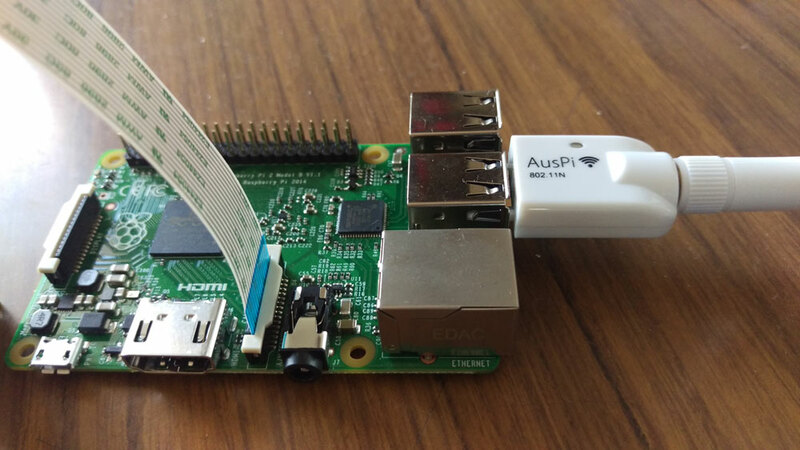 For this demo, you’ll currently need a Raspberry Pi (I used the Raspberry Pi 2 Model B) with Raspbian installed (NOOBS has you covered here), an Internet connection for it (I recommend getting a Wi-Fi adaptor so your Pi can be relatively portable) and a Camera module. If your Pi is brand new and not currently set up, follow the instructions on the Raspberry Pi NOOBS setup page to get your Pi ready to go. If you’ve got a bunch of stuff on your Pi already, please make sure you back everything up as the installation process replaces various files. Hopefully everything should play nicely but it’s always important to be on the safe side! Our demo code that uses the camera data is accessible on GitHub for those eager to download and have a go. The easiest way I’ve found to stream images from the Pi camera was to use the RPi Cam Web Interface. You run a few basic terminal commands to install it and then it sets up your camera on an Apache server ready to use. On that screen, you’ll be able to select “Enable Camera”, click that option and and choose “Enable” from the screen that appears. The install program has slightly more of a visual interface. I personally installed it via the Apache server option (the first option), so the following will all focus on that method. If you prefer to use an Nginx server, you can. I’d imagine much of the process is relatively similar though. You’ll then specify where you’d like to place the RPi Cam Web Interface on your server’s /var/www directory. If you don’t list anything, it will install in the root /var/www folder. I installed it in a folder called picam to keep it separate. On the next screen, I selected “yes” to whether I wanted the camera to auto start on boot time. The installation program will then ask what port you’d like it to run on. I kept it at the default of port 80. You will then be prompted for whether you’d like web server security. This will create a htaccess username and password for your server. I said no for testing purposes and because I’ve got it in a subfolder. In this demo, we’ll be creating other functionality in other subfolders, so I’d recommend putting security on your whole server at the root level if you’re worried about people spying on your Pi’s server! 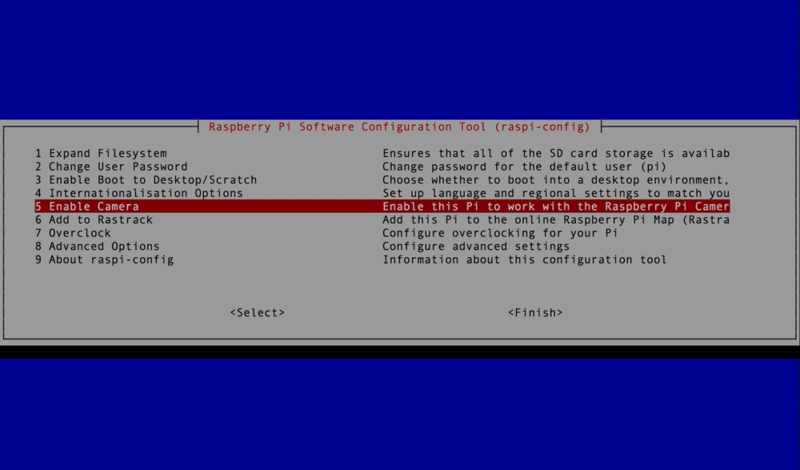 The program will ask if you want to reboot the system, type in y and let your Pi set itself back up. When it turns back on, the light on your camera should come on to show that it is now watching its surroundings. It’ll be one of the few actual IP addresses with that listing. Depending on the settings of your local network, it should be something relatively simple like 192.168.0.3. For me, it was 192.168.0.12 as my network has a bunch of other devices on it. We ensure we’re getting the latest image by appending the current timestamp via new Date().getTime(). However, when it does run the nextPowerOf2() function to ensure that it works nicest as a Three.js texture, it will end up as a canvas of 512×512 (just with black on the top and bottom from my experience). 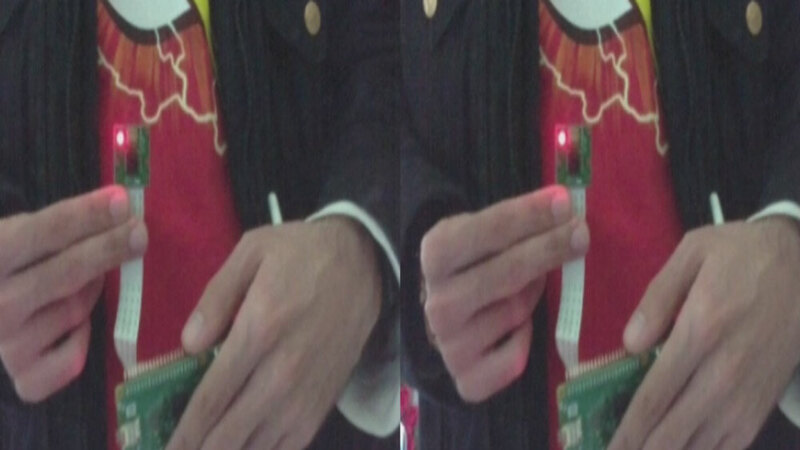 We store our Pi’s camera image within a variable called piImage. We set its src to the URL we mentioned earlier. When our browser has loaded the image, it fires the piImage.onload() function which draws that image onto our web page’s canvas element and then tells our Three.js texture that it needs to be updated. Our Three.js PlaneGeometry texture will then update to the image from our Pi camera. You could then FTP into your Pi as the default “pi” user and copy the files into the directory or add your project into a remote Git repo and clone it into the folder (I did the second option and thus could do it just via sudo git clone https://mygitrepo without needing to change the owner of the folder or files). I added them into a folder called piviewer within the /var/www folder. If we add this code onto our server and then go to our server from a mobile Chrome browser with our Pi’s IP address and the folder name of our custom code (e.g. mine was http://192.168.0.12/piviewer) you should see a VR set up that you can view within Google Cardboard! If you try out this code and make something interesting with it, leave a note in the comments or get in touch with me on Twitter (@thatpatrickguy), I’d love to have a look!